> > A processor with two layer cache writes a byte to zero, none of the memory is in cache. > > in layer 2 cache, do not find it, instruct the layer 2 cache to fetch the memory. > from cache are both counterproductive, so you ideally want it to bypass cache. Show me not "many", but just one modern general-purpose processor with write-back cache that does not write-allocate by default. AFAIK, there are none. Streaming stores are another matter. > caches and snooped write-combining buffers works very well for a wide range of workloads. > in cache until evicted based on its replacement policy (LRU, random, adaptive, etc). 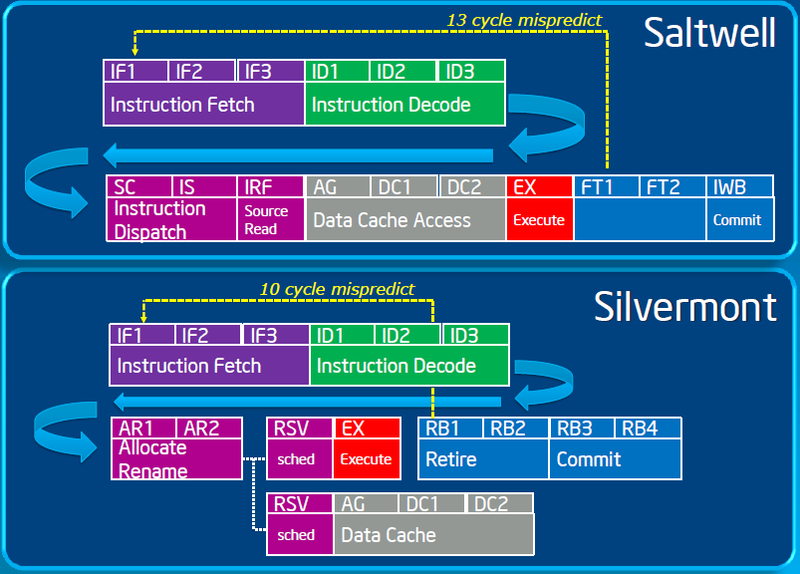 > > back to memory: a layer 1 cache line or a layer 2 cache line (which would be a lot bigger). > > In other words, is there "dirty bits" for every layer 1 cache line inside the layer 2 cache? > family, which appear to use a sectored L2 with 128-byte lines and 32-byte sectors [*]. Crystallwell L4 should do something similar. It's not yet documented in the Intel optimization reference manual, but anything else simply does not make a technical sense. > Nvidia have never publically described the Fermi L2 configuration that I know of.